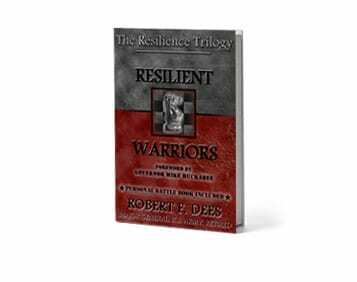 The first book in the The Resilience Trilogy is Resilient Warriors ̶ looking at resilience from an individual perspective. 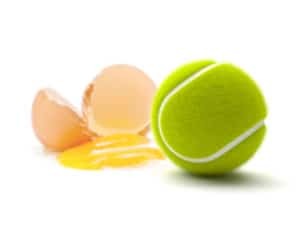 “How High Will I Bounce?” — a relevant and frequently asked question across all marketplaces of professional endeavor, as well as the inner sanctums of our personal lives. Maybe in moments of introspection, uncertainty, or crisis; you have asked yourself “How High Do I Bounce?” Or looking into an uncertain future, perhaps you are asking “How High Will I Bounce?”, anticipating the hard concrete reality of overwhelming life situations to come. Particularly during these days of a crippled economy, persistent terror threats, terrifying natural disasters, and wars and rumors of wars; it is natural to ask such questions. I know I certainly have. Perhaps the marketplace where the need for “bounce” is most notable is the military. Our nation’s warriors well understand the challenges to bouncing back after repeated deployments, physical or mental wounds, or betrayal on the home front. These warriors go in harm’s way on our behalf; they are the “exoderm” of our country, often wounded, cut, bleeding, and dying on our behalf. As role models for warriors in every other marketplace and life endeavor, our nation’s military men and women are inspiring and instructive. Military institutions (including supporting civilian contract agencies) are wrestling mightily with tragically high suicide, post traumatic stress, and mental disorder incidence rates; as well as what some would term “an unraveling of military families.” All the Military Services are devoting significant resources and leadership focus towards programs and protocols that mitigate these alarming trends. They are making progress, but the challenges are daunting. For all the Services, “bouncing back” (soon to be defined as resilience) has surfaced as a highly relevant and desirable characteristic for those facing the challenges of protracted and globally pervasive conflict. 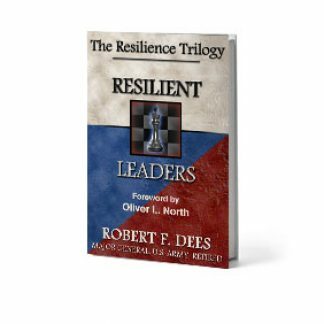 Resilient Warriors will complement these efforts to assist with resilience of military personnel, leaders, and organizations. As well, Resilient Warriors makes these principles of resilience available to “warriors” in every endeavor of life.